The Pioneer DA-46CBF Mini Fabric Frame Album features a sky blue fabric cover and is designed to display and protect 24 4 x 6" photos. The 1-up style pages display one vertical image per side. The clear, side-loading pages protect your photos from dust and fingerprints. 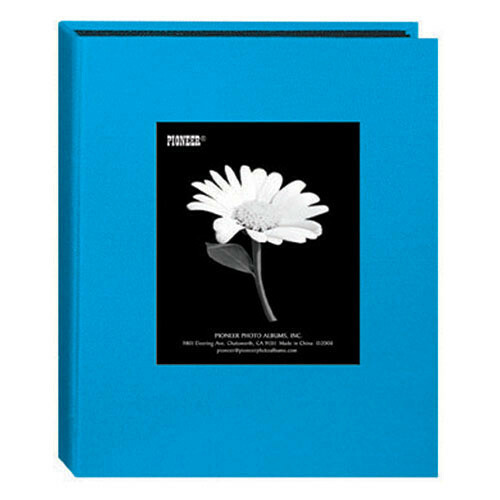 The black mesh background on each page enhances the presentation of your photographs. There is a 2.75 x 3.5" cover window for a theme image inserted through a pocket inside the album's front cover. The book-bound binding enables the open pages to lay flat for quick loading and optimal viewing. A dust jacket is included for protection during storage. The album is acid-free for long-term archival photo-storage. Box Dimensions (LxWxH) 6.85 x 5.3 x 0.85"
I'm going to order 13 of these. When can I expect delivery?